In this city of neighborhoods, exciting new programs focused on cultural, artistic, and civic engagement for adults are happening in communities all across Philadelphia and now being implemented by the Free Library’s new Division of Cultural and Civic Engagement (DCCE). Many of us know that our 54 neighborhood libraries have consistently offered outstanding programs for children. But many libraries also offer innovative events for adults, planned and coordinated by librarians and staff, from fashion shows to historical lectures and everything in between. The DCCE has been expanding upon this existing groundwork and energy to bring new opportunities to libraries across the city. 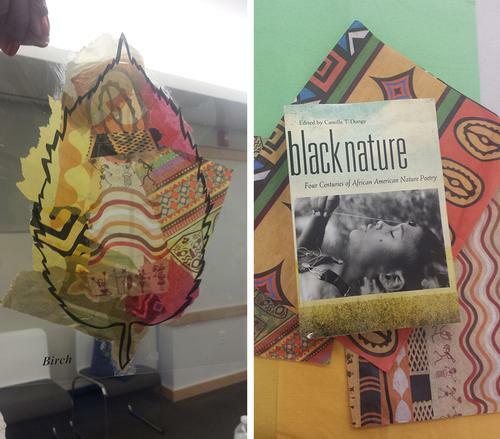 "My work is a natural offshoot of what I’ve been taught to do my entire life," says Kalela Williams, Director of Neighborhood Library Enrichment Programming for the Division. "Learning was never meant to end with the school day. We didn’t have much money, but my mom was a master of finding cheap tickets and opportunities. Libraries, the zoo, museums, nature walks, the theatre, or ballet—even just visiting different neighborhoods to people-watch. Most kids outgrow this stuff as teens, but I’m a forever-nerd. And nobody wants to nerd alone, so I want to bring these kinds of opportunities into our libraries." Sparked by the success of the Free Library’s signature Author Events series, the DCCE’s Authors Up Close series is bringing both local and regional authors, such as Janet Benton and Lorene Cary, to neighborhood libraries, as well as for talks within the prisons with which the Free Library works as part of our Prison and Re-entry Services program. 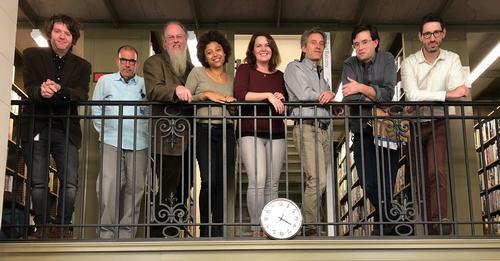 National authors on tour are also making stops in our neighborhood libraries. 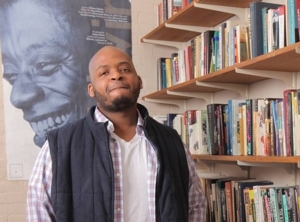 On November 1, Kiese Laymon, a finalist for the Carnegie Medal, will talk about his new book Heavy: An American Memoir; at Kingsessing Library. The goal of Authors Up Close is to engage smaller audiences with authors for dialogue and conversation. Meanwhile, former Mayor Wilson Goode is giving book talks throughout the Free Library system, as part of “This Is What Democracy Looks Like,” a program series with the goal of showing that #midtermsmatter. The Free Library is encouraging Philadelphians to vote during the crucial November 6 elections. Interesting program series are a major part of what the Division has already offered and will continue to offer. This past summer brought a series inspired by the Rare Book Department’s "Flora and Fauna" exhibition. 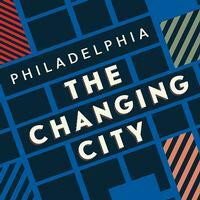 And now, with the Free Library special collections exhibition, Philadelphia: The Changing City (on view through April 13), a new program series is shaping up. Stay tuned for everything from author talks and art-making in neighborhood libraries as well as a Community Day at the Parkway Central Library, in which Philadelphians across the city will be invited for a day of touring the exhibition and taking part in exciting activities for all ages. But there’s room for systemwide series to start within neighborhoods! Led by its library supervisor and children’s librarian Lisa Chianese Lopez and Sara Palmer, the Ramonita de Rodriguez Library, with support from the DCCE, has piloted a mini-series of community conversations focused on the impacts of gentrification. In March 2018, they hosted "Intentional Neighborhoods," a panel discussion in partnership with The Philadelphia Citizen. And this week, they offered a roundtable discussion and quilt-making workshop, in collaboration with local civic organizations. Another gentrification-focused program at Rodriguez is already in the works, and the DCCE plans to offer these kinds of programs in other communities. The DCCE is also marking important anniversaries. As Parkway Central gears up to open a West Gallery exhibition called At These Crossroads: The Legacies of Frederick Douglass and W.E.B. Du Bois, neighborhood libraries will be encouraged to offer book displays and discussions around these two heroes’ lives and work, marking the bicentennial and sesquicentennial of their births. An African American entrepreneur’s fair celebrating the 60th anniversary of Motown Records will take place in a neighborhood library, as will an artistic program marking the 400 years since enslaved Africans first landed at Jamestown in 1619. "The idea of the library offering systemwide African American interest programs is important to me, but exciting as well. I’m part of Philadelphia’s 52% black population, so I want to see events that connect with my identity," Williams said. She has worked with Parkway Central librarian Lisa Harris’ African American Interest book group to offer workshops focused on black literature, and is also coordinating an historical and artistic event honoring the former Mother Bethel Cemetery burial ground, now Weccacoe playground, as part of One Book, One Philadelphia. Williams formerly directed the One Book program and considers it her training ground for her new role within the DCCE. The DCCE is just beginning what will be extensive offerings in neighborhood libraries. Plans for 2019’s Black History Month, Women’s History Month, and Pride Month are already underway. Williams would like to see more multidisciplinary programs like the Weccacoe event, as well as artistic programs that are created by and for Philadelphians who speak languages other than English. These could build from the crucial work that Free Library Community Organizer Tania-Maria Rios has already accomplished at the Lillian Marrero Library. Another goal is the implementation of events that provide childcare, or that are welcoming for parents with children, with coloring books and other kid-friendly diversions. "This is exciting, important, and what I hope can be, incredible work," Williams said. "Sometimes I’m so charged I can’t sit still. I think it’s the caffeine, but then I realize I’m so enthusiastic about doing programs." "But also, it’s the caffeine."